The Environmental Protection Agency on Tuesday signed a proposal to repeal the Clean Power Plan — President Obama’s signature climate change legislation. The 2015 rule aims to was meant to move the country’s electric grid away from coal and towards other sources with less greenhouse gas emissions. 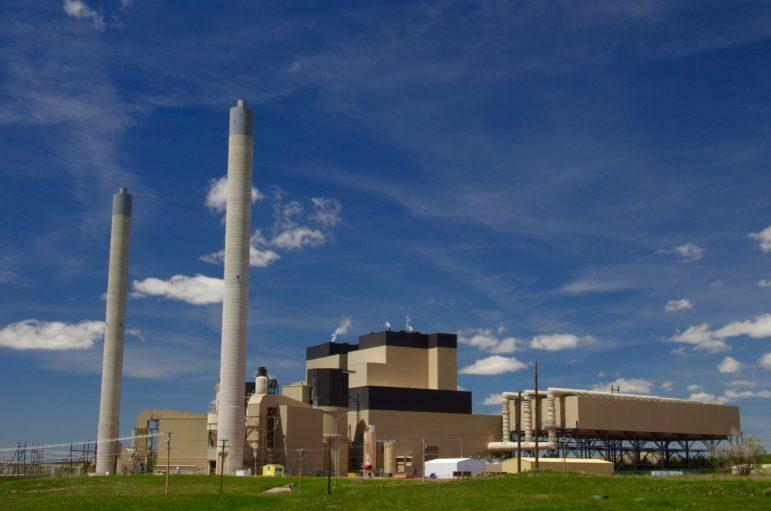 Wyoming provides about 40 percent of the country’s coal, and most of that goes towards electricity generation. It’s no surprise the state has opposed the Clean Power Plan — or CPP — from the start. One of the world’s largest wind turbine manufacturers is hosting meetings in Wyoming next month to encourage people to join its free wind turbine technician training. 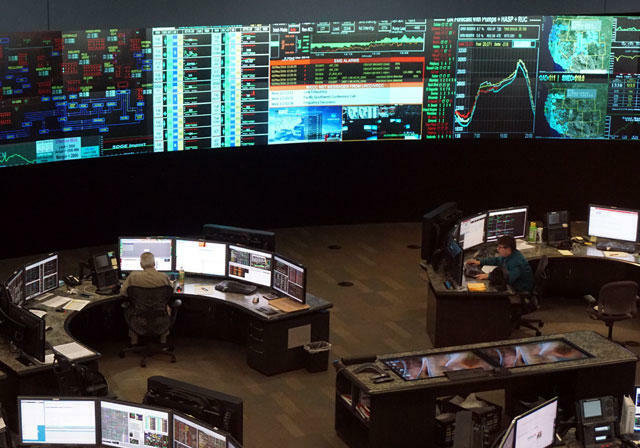 Goldwind is a Chinese company with an interest in expanding U.S. wind operations. It made an agreement late last year to provide and maintain wind turbines for a Viridis Eolia Corp., which is constructing a wind farm near Medicine Bow, Wyo. 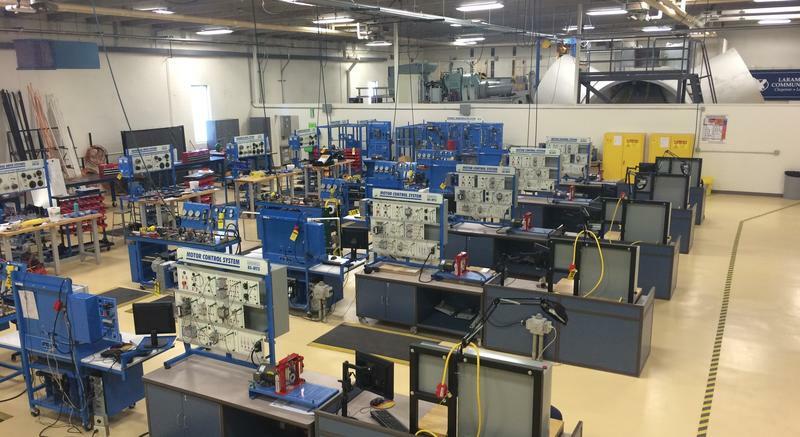 Now, Goldwind hopes to train locals to become wind turbine technicians. The U.S. Fish and Wildlife Service is recommending that the Chokecherry-Sierra Madre wind farm near Saratoga receive a so-called “eagle take” permit that would allow it to kill 1 bald eagle and up to 14 golden eagles a year. In exchange, the Power Company of Wyoming, which owns the project, would need to pay to retrofit a number of power poles that can electrocute eagles. The Fish and Wildlife Service estimates that as a result of those mitigation measures, there will be no net loss of eagle population in the local area or the region. The future is looking up for Wyoming’s wind industry. There are few places in the country with more wind energy potential than Wyoming, but the state has seen almost no new wind turbines built in six years, even while wind has boomed in the rest of the country. Depending on who you ask, the challenges have been political, technical or both. But now, the outlook is improving on all fronts. After hearing more than five hours of public testimony, the Wyoming Legislature’s Joint Revenue Committee rejected a bill Thursday that would have increased the tax on wind energy production. Wyoming currently taxes production at $1 per megawatt hour, the only such tax in the nation. The state is facing a major budget shortfall because of the downturn in coal, oil and gas production. 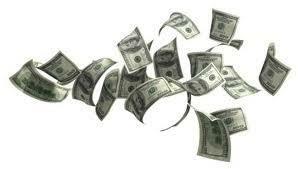 Raising the wind tax came up as a possible way to generate revenue for school construction. Rep. Mike Madden, R-Buffalo, introduced the failed proposal to raise the tax to $3 per megawatt hour. Concerns about who would be in charge of an integrated Western grid are delaying a decision on the issue, even though it is expected to increase the use of renewables across the West and save consumers millions of dollars. Wind turbines are pretty sleek-looking from a distance, but there’s a lot going on behind those spinning blades. Bryan Boatright, a wind energy technology instructor at Laramie County Community College, took me up into a deconstructed nacelle. A nacelle is a big rectangular box that holds generation components like the generator and drive train. Each one looks like an RV. 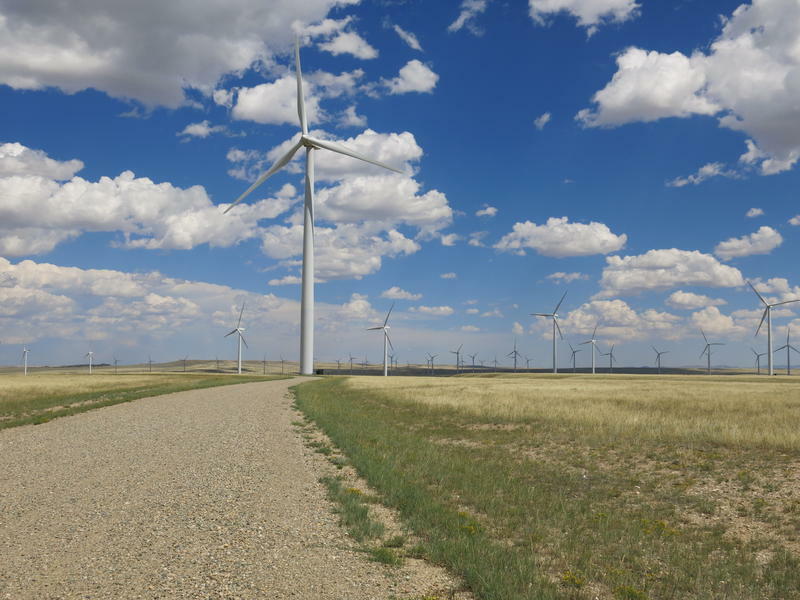 The company behind the largest proposed wind farm in the country, in Carbon County, says that uncertainty around Wyoming's wind tax policy is making it more difficult to invest in wind. Wyoming is the only state in the country that taxes wind energy production and is considering raising that tax, a move which could ultimately deter future wind projects. Do We Need Coal To Keep The Lights On? "As we look forward, it is clear that the dynamics of the coal industry have permanently changed," he said. “Where coal used to provide baseload generation, it is now much more variable depending on power demand, renewable output, and the price of natural gas." A Wyoming legislative committee is moving forward with proposals to increase the tax on wind energy. Wyoming is currently the only state that taxes wind energy production. The Revenue Committee decided at its meeting on Wednesday to draft two possible bills. One would raise the production tax on wind beyond the current one dollar per megawatt hour. The other would force wind companies to hand over some part of the federal wind energy production tax credit to the state. 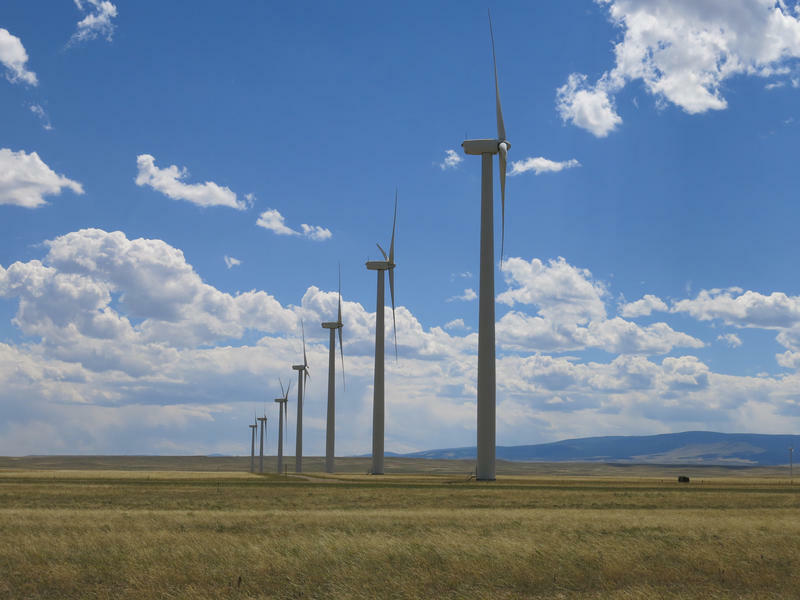 As Wyoming faces a growing budget shortfall, the state is looking at ways to generate additional revenue, including possibly raising the state's wind tax. The Joint Revenue Committee will consider a proposed tax hike at its meeting this week. Wyoming’s largest utility pledged Monday to cut its carbon emissions and invest in renewable energy. 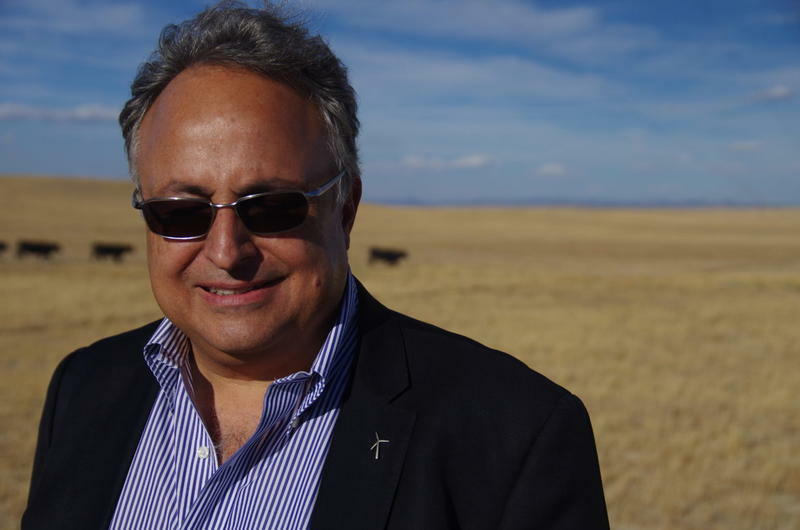 On a 500 square mile ranch in Carbon County, Wyoming, one of the world's largest renewable energy projects is unfolding, backed by an unlikely entrepreneur. Wind power is a growing part of the energy mix in the United States. And along with that growth, there are new job opportunities for people to install and repair the 30-story-tall wind turbines. But as Wyoming Public Radio’s Stephanie Joyce reports, a unique skill set is required -- the fearlessness of a pro rock climber along with the know-how of a skilled mechanic. Four companies, including Wyoming-based Pathfinder Wind Energy, announced an eight billion dollar project this week that would eventually send Wyoming wind power to California. If built, the wind farm would be one of the largest in the country. Wyoming has some of the most powerful wind in the country. 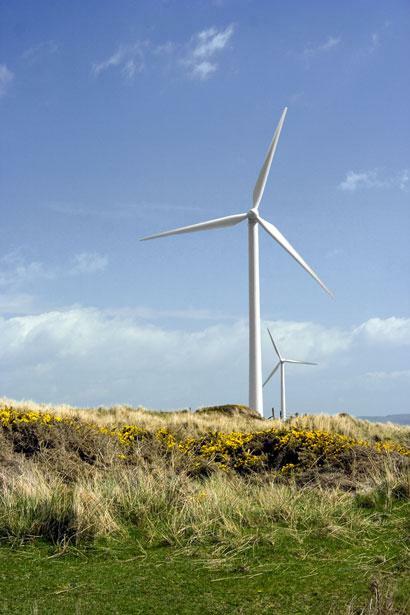 So, earlier this month, a massive wind farm got the green light from the state. If the Chokecherry and Sierra Madre Wind Energy Project gets federal approval, it will become the largest in the country. But who’s buying all that wind power? Right now there is no way to get it out of Wyoming, to the other states that really need it. For Inside Energy, Leigh Paterson reports on why transmission gridlocks are keeping Wyoming wind at bay. The state Industrial Siting Commission gave the Power Company of Wyoming its blessing Wednesday to move ahead with plans to build the largest on-shore wind farm in the United States. A thousand wind turbines would be erected in Carbon County if the Chokecherry-Sierra Madre wind farm is built, covering about 2,000 acres of private and public lands. The turbines would produce enough power for a million homes. But Kara Choquette, with the Power Company of Wyoming, said none of that power will be used in the state. A new study says energy generated from Wyoming wind could help California residents save up to one billion dollars annually in electricity costs. California’s renewable portfolio standard – or RPS – requires the state to get 33-percent of its energy from renewables by 2020. 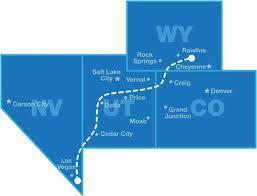 The Wyoming Infrastructure Authority commissioned the economic analysis. According to a new report, Wyoming voters are more likely to vote for candidates who support using public lands for more than just oil and gas development. 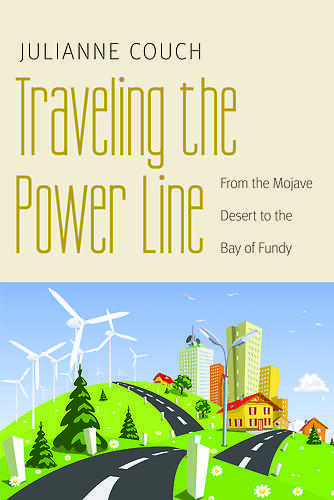 Julianne Couch is the author of Traveling the Power Line, a book about the many energy sources we tap into for our power needs – from oil and gas, to wind, to solar and uranium. Couch teaches at the University of Wyoming and has also written Jukeboxes and Jackalopes: A Wyoming Bar Journey and Waking Up Western: Collected Essays. She now lives in Iowa but stopped by the studio to talk to Wyoming Public Radio’s Irina Zhorov about her book. The Bureau of Land Management in Wyoming is taking public comments on a long awaited 725 mile long transmission project. The Trans West Express transmission project was started in 2008 and is intended to take renewable energy from south central Wyoming to Nevada. Wyoming B-L-M Spokeswoman Beverly Gorney says they’ve had to consider a number of environmental and other issues in the draft environmental impact statement. Three people accused of defrauding investors of more than $4 million by falsely claiming to be developing wind farms in Wyoming and South Dakota are set to stand trial in June. U.S. District Judge Scott Skavdahl of Casper has scheduled a three-week trial starting June 3. Defendants Robert Arthur Reed and Lauren Elizabeth Scott of Utah and Gregory Lee Doss of California are charged with conspiracy to commit mail and wire fraud and conspiracy to launder money. Reed faces additional charges of mail fraud, wire fraud and money laundering. A University of Wyoming wind study shows that combining the wind resources of Wyoming and Colorado would benefit the Colorado energy grid. U-W Wind Energy Research Center Director Jonathan Naughton said that’s because wind in Colorado and Wyoming blows differently. 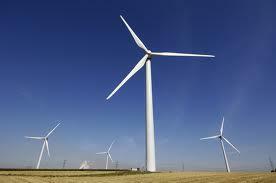 He said that if the resources are combined, it would make wind power more consistent. A group of University of Wyoming researchers received $508,000 from NASA to study aerodynamics and wind resistance at Wyoming’s Supercomputing Center. The U.S. Department of Energy reports that Wyoming has one of the highest capacities for wind power production in the country. But University of Wyoming Mathematics Professor Stefan Heinz says most wind farms aren’t arranged as efficiently as they could be. He says the wake of one turbine often disrupts the turbines around it, reducing efficiency. Some in the wind energy industry have expressed concern that the wind production tax credit might expire at the end of the year. U.S. 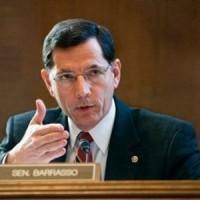 Senator John Barrasso says he shares that concern and blames the on-again, off-again nature of such tax credits on the lack of a federal energy policy. Gov. Matt Mead says he's continuing to push to try to change how Wyoming taxes wind energy projects despite a chilly reception to his proposals from some state legislators so far. 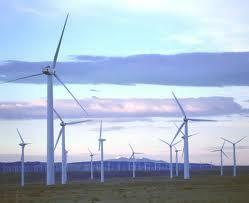 Wyoming's sales and use tax exemption on equipment used on wind energy projects expires in January 2012. The state will also begin imposing a $1 per megawatt hour tax on wind energy production starting then. 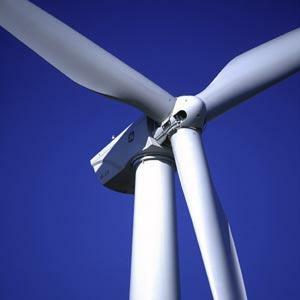 The U.S. Bureau of Land Management is giving the public additional time to weigh in on a proposed wind power project near Rock Springs. The BLM also is holding a public meeting on the Quaking Aspen wind project. That meeting is scheduled for 5 p.m. Monday at the Holiday Inn in Rock Springs. The BLM announced Tuesday that a public comment period originally set to end Wednesday is now being extended until Dec. 27. Evergreen Wind Power Partners proposes to put up to 100 wind turbines in an area 11 miles southeast of Rock Springs.